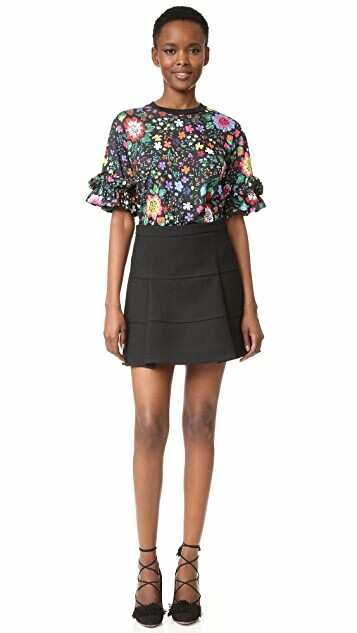 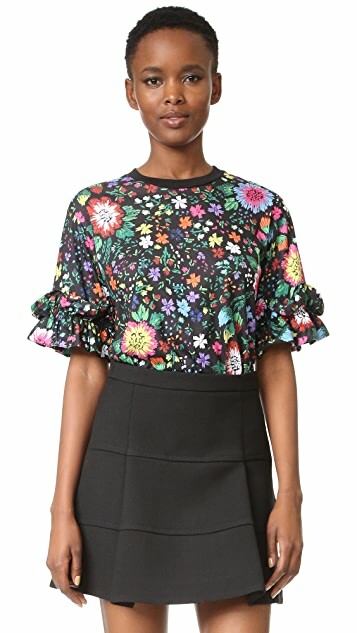 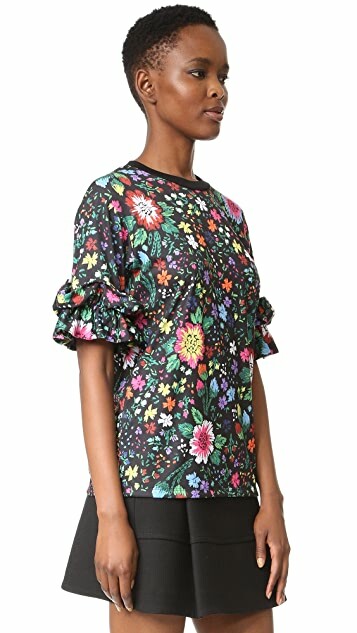 A photoreal design of embroidered flowers lends an eclectic feel to this Victoria Victoria Beckham tee. 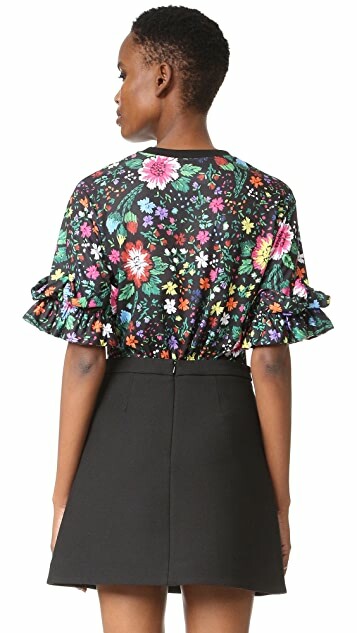 Plush ruffles trim the short sleeves. 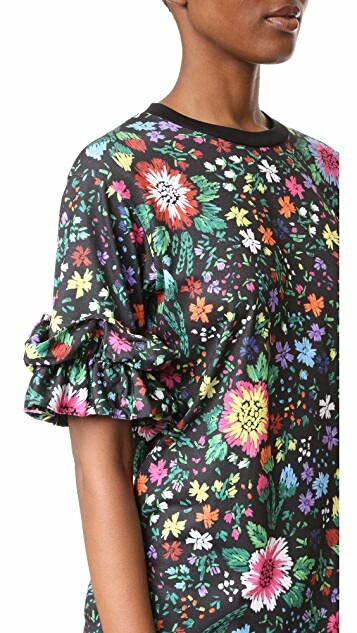 Banded crew neckline.